The Noble Minds Institute of Whole Child Learning, a new charter school in the process of completing its first year, plans to move into the Central St. Matthew UCC church classroom building formerly occupied by Lycée Français de la Nouvelle-Orléans over the summer, officials said Tuesday night. 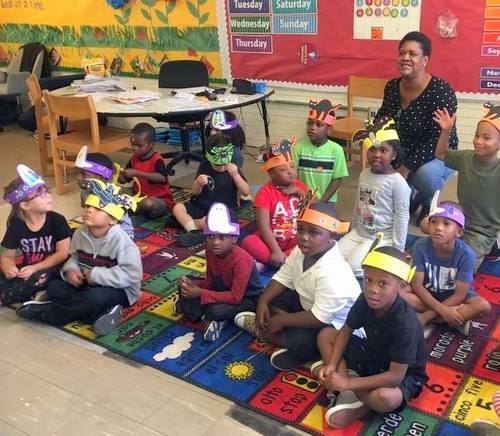 Like Lycee, Noble Minds is chartered directly through the state Board of Elementary and Secondary Education, so it can serve students from anywhere in the state — not just Orleans Parish. Its board of directors will meet at 2 p.m. Wednesday (March 28) at New Orleans Jazz Market to discuss the new lease for Central St. Matthew classroom building. Lycee Francais moved into the Central St. Matthew building in 2016, but moved out a year later when the Recovery School District offered the larger Johnson building on Monroe Street to the school for no rental cost. 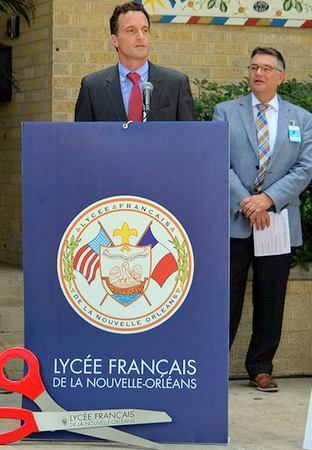 Lycee still holds the lease for the Central St. Matthew building for one more year, however, so Noble Minds will sublease from the French charter school for a year starting in June, said Lycee CEO Keith Bartlett at meeting of the school’s governing board on Tuesday night. “Noble Minds is stepping into our shoes for all purposes under the lease,” said board chair Michael Williams. The church is lowering Lycee’s rent slightly to match roughly what Noble Minds will pay to Lycee, Bartlett said. Lycee will thus only have to pay for another two months, April and May, until Noble Minds begins paying in June. “It looks like a great deal,” Bartlett said. After the vote to approve the lease, the Lycee board voted to enter into a closed-door executive session about prospective litigation. The board did not name the parties involved in the litigation, although this is required by the state open-meetings law. Two parents and a reporter for Uptown Messenger asked the Lycee board for the names, but Williams said that he had been advised by attorney Jaimmé Collins of Adams & Reese that he did not have to provide any further information about the case. Collins, who was present at the meeting as well, said that governing boards do not have to name the parties involved in prospective litigation when it could harm the board’s position in the negotiations. “There’s an attorney general’s opinion,” Collins said. Collins said she does not have the specific attorney general’s opinion in hand, but Williams said it would be provided later. An inspection of a 2012 attorney general’s opinion regarding executive sessions by the Iberia Parish Council, however, appears to suggest that the names of the parties must be provided regardless of the justification for the executive session. The executive session lasted about an hour and a half. Afterward, Williams said the board had not yet identified the attorney general’s opinion on which they based their decision to withhold the names of the prospective litigants. To read our live coverage of Lycee’s board meeting, see below.